Dr. Rajiv Saini is presently working as Associate Professor in department of Periodontology and Oral Implantology of Pravara Institute of Medical sciences-Loni, Maharashtra, India. He is an author & editor of the three books: Dental Horizons: Essentials of oral health, Hospital Infection Control: Clinical Guidelines and Fundamentals of Clinical Trial and Research. 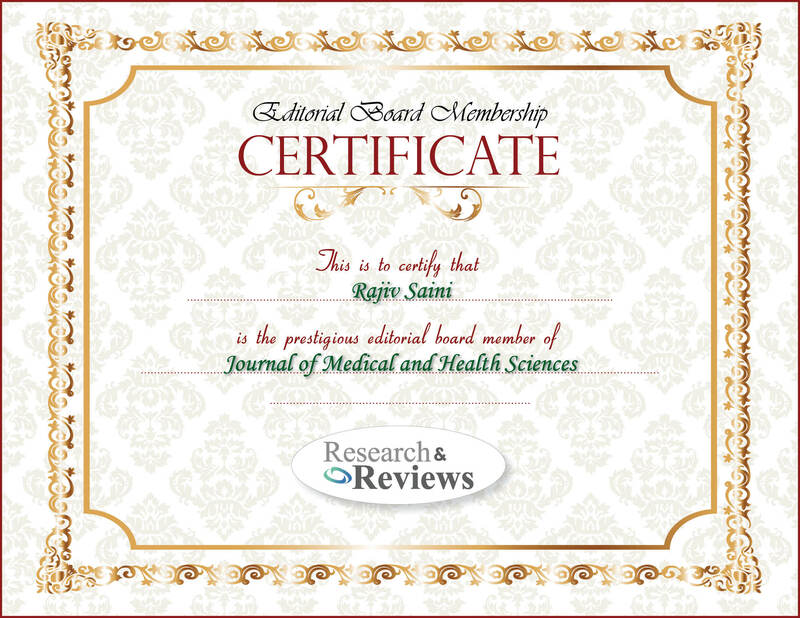 He has published more than 110 research articles in numerous International and National journals of repute. He has attended several scientific conferences, presented his research work and awarded with various International, National and Institutional awards. He is also holding Editorial and reviewer positions to many journals. He has completed numerous research studies and currently involved in multiple investigational research activities. He is frequently invited as a guest speaker to International and National academic forums.